Whether working with a wiring closet, telecom room, or data center, the Kendall Howard 2-Post Relay Rack is the ideal racking solution. 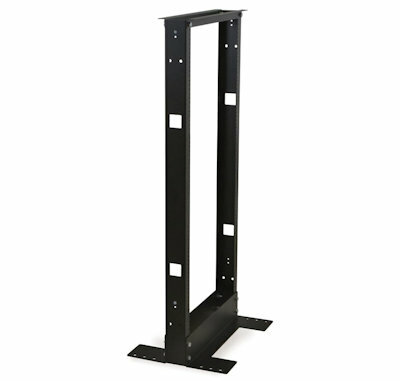 Its sturdy construction makes a rigid, reliable rack that can hold up to 800 lbs. 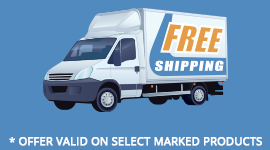 of equipment, including switches, patch panels, UPS’s, rack shelves, rackmount keyboard trays, and more. The rack features four ¼-20 x 0.5” grounding studs on the inside of the rails that allow you to ground your equipment directly to those studs. Also included with the rack are serrated tooth washers that, when tightened, dig in and remove paint from the rack, establishing electrical continuity throughout the rack. 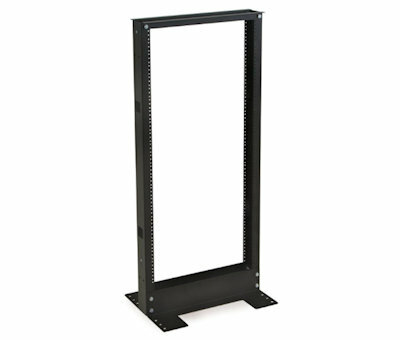 When multiple 2-Post Relay Racks are needed, simply gang them together with the ganging holes on both sides of the frame. You can even gang both the 24U and 45U size racks together because the holes align. Cable pass through slots are also included on the frames to allow cabling to pass through between racks. The completely open top design allows the 2-Post Relay Rack to accept cable bundles. It also makes the rack compatible with most ladder racks and coordinating accessories. When you need a 2-post rack that offers both strength and dependability, there is none other than the 2-Post Relay Rack. The rack features four1/4-20 x 0.5” grounding studs on the inside of the rails. These studs allow you to ground your equipment directly to the stud or with the use of bus bars, not included. The rack also includes serrated tooth washers to allow the frame to be grounded during the assembly process. The 2-Post Relay Rack’s completely open top allows for smaller trunk cabling, and makes the rack compatible with most ladder racks and accessories.